How to collect big data effectively and with minimal efforts? Find out pros and cons of website scraping servises 2019 and decide on the best data scraping tool for your business. Can you imagine that 90% of the worldwide online data was produced in the last two years? Actually, a trend study insists that the great majority of all the data have appeared just recently. By the way, it has turned into a challenge for businesses, as they always should look for the way of how to collect big data effectively and with minimal efforts. Web scraping tools are able to meet these demands. 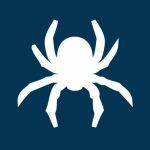 What is web scraping? Web scraping or data scraping is the process aimed at collecting the needed data from the sites and keeping them in the local databases or spreadsheets. Thus, considering the importance of the data extraction for all businesses functioning all over the world, major web scraping tools have appeared to make this process handy, transparent and clear. As you are new to the world of data scraping we have prepared a review of the top fifteen best web scraping tools. Try to consider all the pros and cons of the data extraction tools and decide on the best service for your business. Octoparse is a high-end web scraping tool. This high-powered free web data extraction software can be used for scrapping almost all data types. The Octoparse user-friendly point-and-click interface allows catching all the site text content with downloading and storing it in the Excel, HTML or CSV formats. More to that, you can keep the data extracted in your personal database non-coded. 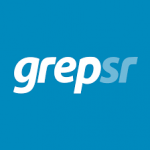 The in-built Regex functionality is assigned for the sites with a complicated data block structure and XPath configuration tool provides all needed web elements are found. Finally, you can stop thinking about IP-address blocking, as Octoparse software owns powerful IP Proxy Servers able to keep you unnoticed by even aggressive sites. For user’s convenience, the new Octoparse version has a number of task templates for scraping data from such big-name sites as Amazon and similar ones. All that you need is to insert the parameters and wait until the data being scraped by default. 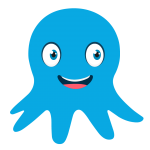 Pros: Octoparse software provides both free and paid versions. The great thing is a free version offers an unlimited number of web pages for scraping. The price of the paid edition of this data scraping tool is not painful for the customers’ wallet. Cons: Data scraping from the PDF files is unavailable. Despite Octoparse data scraping tool allows image Url-address extracting, the direct image downloading is impossible. Pros: Flexible and dedicated web scraping tool. 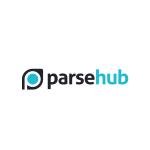 Compared to Octoparse, Parsehub software is integrated with more operational systems. Cons: Limited free web data extraction software edition. The free version provides five projects and two hundreds web pages for data scrape. The documentation extraction is not available. Also, as the user experience shows, Parsehub web scraping software is more handy for programmers with API access. 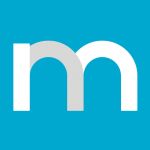 Mozenda is a cloud web scraping software with two applications available: Mozenda Web Console and Agent Builder. Mozenda Web Console is a web app for launching Agents (scraping projects), reviewing and data ordering with the opportunity to export or post scraped data to such cloud storage as Dropbox, Amazon, and Microsoft Azure. Agent Builder is the Windows app for creating data project. With Mozenda web scraping tool, you will keep protected from web source downloading an IP address ban in case of detection. Pros: Rich Action bar for AJAX and iFrames data scraping is in-built. Documentation and image scrapping functionality is available. Cons: High priced web scraping software. The functionality of this website data extraction software is not logic driven. 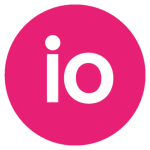 Import.io is a web platform allowing arranging the half-structured information on the web pages into structured data. The data-storage and technologies are arranged as a cloud system. So, you just need to add the web browser extension to make the tool active. JSON REST-based and streaming API’s provides data are scrapped in a real-time mode. 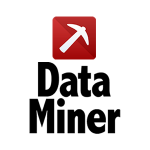 Pros: Advanced techs and user-friendly website scraping tool. The traightforward interface, clear dashboard, screen captures and video user guides. Cons: Credits for each sub-page and it’s not suitable for each site. 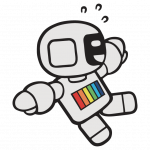 Diffbot data scraping tool allows scraping significant web page elements and producing the data received in a structured format. This web scraping tool has two APIs: on-demanding and a follow. With Amazon CloudWatch and Auto Scaling equipped by the configurable predictive logic, it monitors web pages with extended analysis fleet. Pros: High performance despite the traffic volume. Cons: This paid website scraping tool has no basic data processing options that needs when such large crawls are performed. Pros: Universal Internet search platform with web services for users with different levels of user experience. Cons: The main services are not so easy to use (Scrapy Cloud, Portia). 80legs is a customizable website data extraction software. It handles huge data volumes with the functional opportunity to immediate data downloading and scraping. 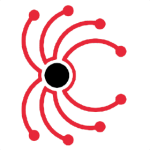 80legs API can be integrated with other apps for extending crawling net. Pros: Flexible and more accessible to small businesses and individuals. Cons: Limited flexibility when it comes to a huge data volume. 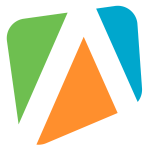 Pros: Multi-page/multi-source data handling with extracting content from sites in any language. 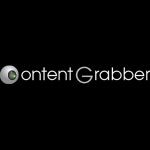 The content grabber is a data scraping tool that automatically collects such content elements as catalogs or web search results. The advanced users can debug or monitor the process of the data extraction using the other web data scrapers. Pros: Easily to accomplish functionality with third party web scraping tools. 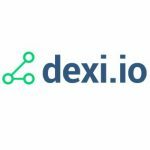 Dexi.io is a cloud-based web scraping tool. With its point-and-click UI, it enables development, hosting and planning functionalities. The scraped data is available in both JSON and CSV formats. The inbuilt content grabbing functionality is advanced and includes CAPTCHA solving, proxy socket, filling out forms including dropdowns, regex support, and etc. Pros: Easily integrated with third-party services. Cons: No free version and not so easy to use. 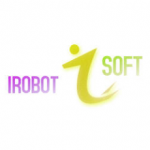 With its easy to understand interface, Irobotsoft application allows creating, making changes and customizing different text files. TXT and RTF formats are available as a few of the editing features. Pros: This web scraping software offers its own programming language for making the robots as much advanced as user skills and requirements provide. Cons: Suitable exceptionally for data experts. VisualScraper is another one software with user-friendly interface assigned for data scraping. It can help you to extract data from several web pages and get the results in real time. Moreover, the following formats for scraped data are available: CSV, XML, JSON and SQL. Pros: Free version is available. Cons: Paid edition enabled more extended functionality with 1000+ pages for scraping available. 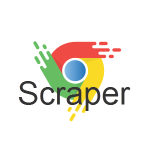 Scraper is a Chrome plugin for carrying out brief researches as it provides fast data exporting to Google Spreadsheets quickly. It operates directly in a browser and is suitable for both beginners and experts. 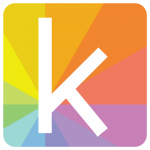 Pros: Free, user-friendly and fast. Cons: It’s not purely assigned for crawling. 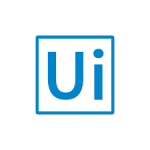 UIPath is a data web scraping service that is perfectly suitable for non-experts. You just need to highlight the data, and then, the tool extracts and submits in the arranged view. The extracted data is submitted in Excel or CSV document. WebHarvy Data Extractor is a point-to-click tool for data scpaping. It allows extracting text, URLs, and images from the sites. The data obtained can be stored into CSV, Txt, XML, and SQL formats. More to that, it’s empowered with Proxy Servers / VPN to grab data anonymously without being blocked. Pros: Easy to use tool with prompt functionality. Cons: No documentation extraction option. No free version. In this variety of ready-made tools and software sometimes, it is hard to find the most suitable one for your business goals. As practice shows and as it happens often, the custom approach appears the best one. We know it for sure and that is why our dedicated team considers the needs of each individual client. Do you need a custom solution? Define source, format and categories/URLs for extraction, confirm a technical specification, and try out service demo. Wait for the development is finished and receive your email on successful solution complete. Use it and meet your business requirements successfully.